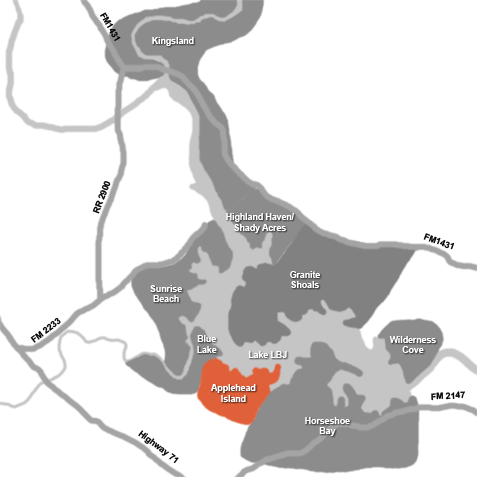 Rare opportunity to purchase 2 large Applehead Island lots together with .64 acre of land on constant level Lake LBJ. Conveniently located next to the community pool this property will accommodate just about any size home you could want to build. The lake view is straight out onto open water from the back of a protected cove. 86' of waterfront give you plenty of space for all your watercraft with room so spare.